Mar 11, 2015 Posted by AAfterwit on Mar 11, 2015 | Comments Off on “True Gentlemen?” Anything But. The University of Oklahoma has dropped its affiliations with the Sigma Alpha Epsilon fraternity after a video (seen below) surfaced showing members of the fraternity singing or chanting what is a decidedly racist song. A protest of the fraternity and the “song” was held on campus Monday. That event was attended by members of University sports teams as well as high profile coaches such as Sooner football coach Bob Stoops. 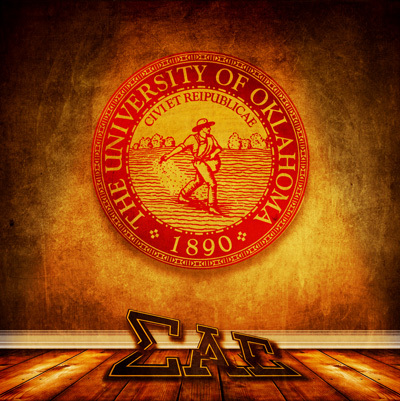 NORMAN, OK – Sigma Alpha Epsilon’s national headquarters has closed its Oklahoma Kappa chapter at the University of Oklahoma following the discovery of a video that contains racist and hateful language as a chant. In addition, all of the members have been suspended, and those members who are responsible for or involved in the incident will face having their membership privileges revoked permanently. We apologize for the unacceptable and racist behavior of the individuals in the video, and we are disgusted that any member would act in such a way. Furthermore, we are embarrassed by this video and offer our empathy not only to anyone outside the organization who is offended but also to our brothers who come from a wide range of backgrounds, cultures and ethnicities. Our leadership acted swiftly to the video and closed the chapter within hours of learning about it. Preliminary findings from our investigation validated the involvement of chapter members from the University of Oklahoma in the video. This type of racist behavior will not be tolerated and is not consistent with the values and morals of our fraternity. We have more than 15,000 collegiate members across the nation, and this incident should not reflect on other brothers because this type of hateful action is not what Sigma Alpha Epsilon stands for. This is absolutely not who we are. Sigma Alpha Epsilon is not a racist, sexist or bigoted fraternity. Not only have we provided education and training on these and other issues, we are working to make sure that discussions and awareness on these and other topics is at the forefront of our membership experience. Clearly the actions of the fraternity were morally offensive and in many ways morally unacceptable. The same group of men who advocate being a “true gentlemen” were anything but. The same group of men who wore Sooner Red and cheered on the football teams and other teams which are comprised of people of all races didn’t think a black man could be good enough to ever join their fraternity. We cannot state strongly enough that we find the actions of these “men” to be reprehensible and morally wrong. Certainly the school and the national leadership of SAE have the right to say “you don’t represent us.” Certainly the SAE national leadership has the right to shut the OU chapter of SAE down. On Tuesday, OU President David Boren took another step. Boren expelled two students who were leaders of the SAE fraternity. “I have emphasized that there is zero tolerance for this kind of threatening racist behavior at the University of Oklahoma. I hope that the entire nation will join us in having zero tolerance of such racism when it raises its ugly head in other situations across our country. I am extremely proud of the reaction and response expressed by our entire university family – students,faculty, staff, and alumni about this incident. They are “Real Sooners” who believe in mutual respect for all. I hope that students involved in this incident will learn from this experience and realize that it is wrong to use words to hurt, threaten, and exclude other people. We will continue our investigation of all the students engaged in the singing of this chant. Once their identities have been confirmed, they will be subject to appropriate disciplinary action,” Boren said in a news release. Boran’s action of expelling the students was met with praise in many quarters. We hate what the SAE fraternity did. As we have said, it is despicable and morally wrong. It is not, however, illegal. Clearly OU overstepped it bounds legally, but other issues remain as well. An institution that prides itself on the diversity of ideas, freedom of expression and quality education can do no better than “leave” when confronted with speech of which it does not approve and a real chance to change ideas and thoughts of people in regard to race. We suspect that some of the students formerly of SAE will look at what happened and change their lives or at least their outlook. Yet we guarantee that some will keep the same attitudes and maybe even blame people of color or “n****r lovers” for what happened to them. In some cases, we suspect that the racism in some of these men will increase instead of die. Their hatred will grow instead of diminish. The so called “True Gentlemen” did not live up to their creed but it can be said that the University did not live up to its motto of “Civi et reipublicae” (“For the citizen and for the state”) or its duty to actually educate. In kicking the men out for their speech, the University went against the law. In passing on an opportunity to confront and educate – truly educate – people on how just how wrong and evil racism is, the school punted. The men of SAE were not True Gentlemen but President Baron was not a true leader or educator. Both failed their moral and ethical creeds.